Pores are the tiny holes in the skin through which sweat and oil can pass. Each pore has tiny sebaceous glands at its root which produce sebum, the skin’s natural lubricating oil. There are many reasons why these glands may produce either too much, or too little, oil. In both cases, the pores may appear larger. In the case of over-production of sebum, the pores can become blocked and clogged with oil. Dried skin debris then forms a plug, often referred to as a blackhead. This mixture dries and becomes hard, stretching the walls of the pore. When we clean our skin to remove blackheads, the pore does not shrink back to its original size but remains open. Over time, enlarged pores make our skin look coarse and dull. On the other hand, when our skin does not produce enough sebum (this often happens as we age) we can develop lines and wrinkles. In addition, mature skin loses its elasticity due to diminished collagen production. Collagen fibers form the matrix that keeps the skin smooth and supple. When there isn't enough collagen and elasticity, individual pores become slack and appear more open and enlarged. No product can "cure" open pores, but there are a lot of (often quite expensive) products on the market that work on a short-term basis. To save money and be sure that you only put natural ingredients on your skin, making a homemade pore mask is a great solution. 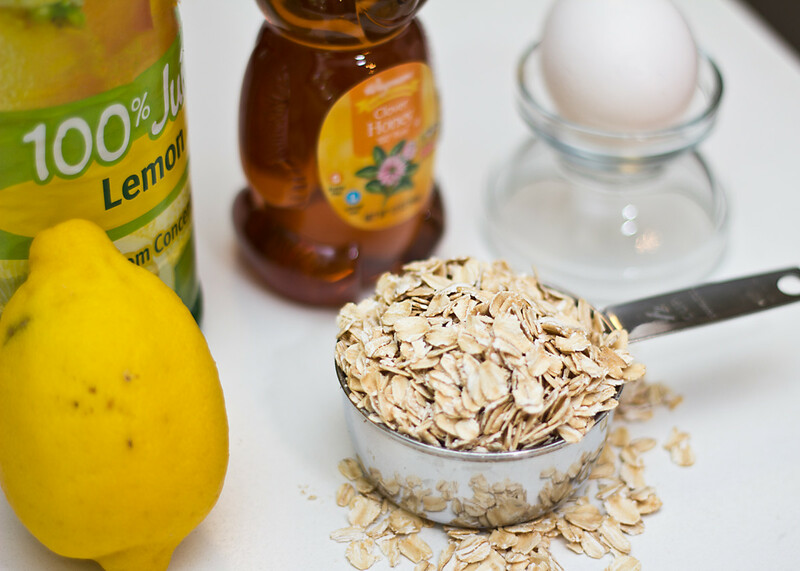 Some of the basic ingredients for an easy homemade facial mask are lemon juice, honey, egg whites, and oats. If you are at all concerned about skin reactions, to this simple test: Prepare mask according to directions. 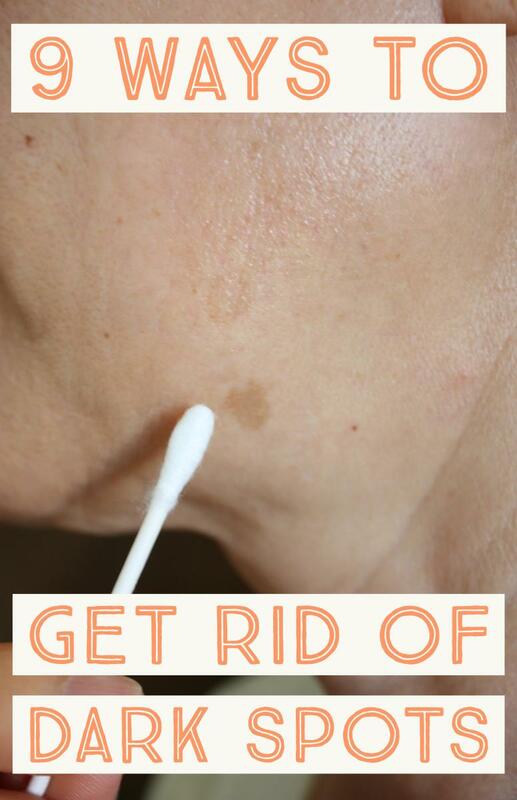 Apply a small amount either behind your ear or to the inside of your elbow. Allow to dry and leave in place for an hour. Meanwhile, place the remainder of the mask in the refrigerator overnight. If you have no adverse reaction by morning, apply mask to face. Better safe than sorry! 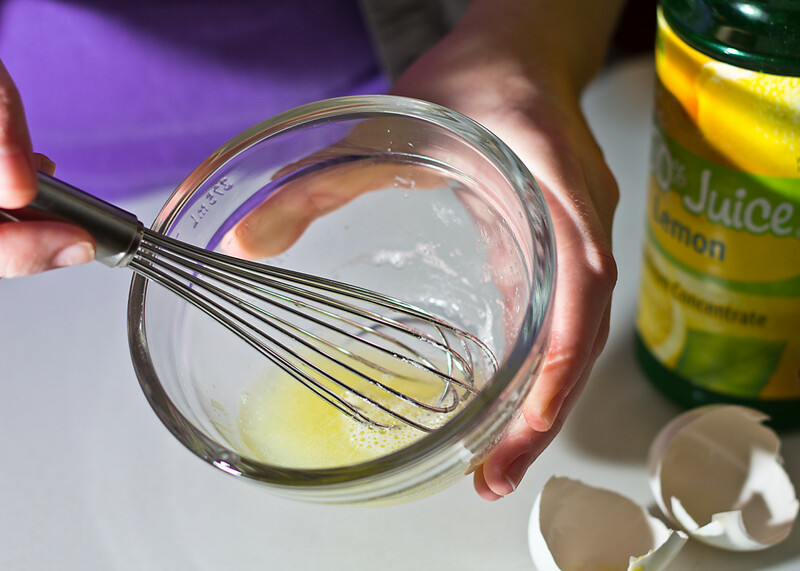 Separate the egg yolk from the white and whisk the whites together with a teaspoon of lemon juice. This mask combines an egg white, which is wonderful for tightening and minimizing the appearance of your pores, and a teaspoon of fresh lemon juice. You should not use this mask if you are allergic to eggs. The lemon juice acts as an astringent on oily skin, but can be a little harsh on sensitive skin. Mix one part lemon juice to four parts water if your skin is sensitive, and then just use a teaspoonful of this diluted mixture. Beat the egg white and lemon juice until it is thick. Thoroughly clean your face. Apply the mask with a brush, avoiding the area around your eyes and lips. Allow mask to dry completely. Your skin will feel tight whilst the mask dries. To remove, just rinse using tepid (not hot) water. Finish the process by gently rubbing an ice cube over your skin. If you have blemishes, add a teaspoon of honey to the mixture. Honey is healing for skin eruptions like blemishes. 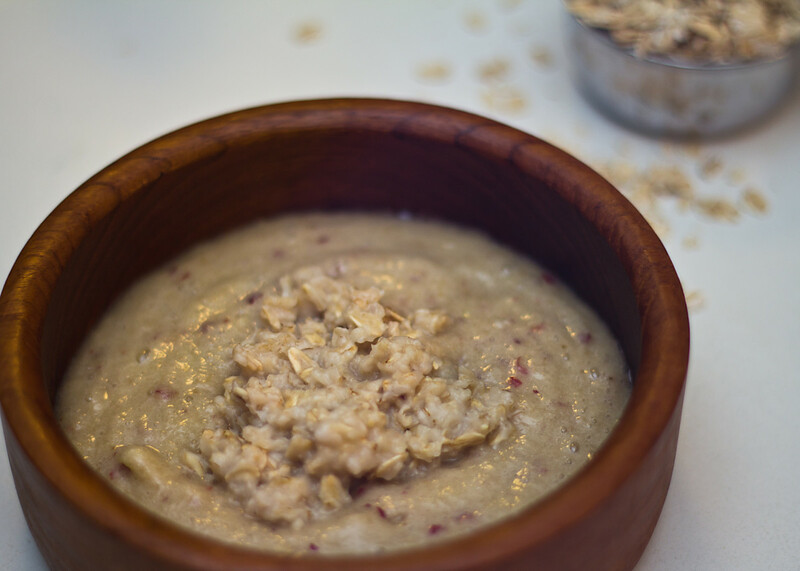 To gently exfoliate, thicken the mask with a little regular oatmeal. Use the fine version, not coarse, rolled oats, and cook it in the normal way. Allow to cool and add to the egg whites and lemon juice mixture. When you apply your mask, always avoid the eye area and the area around your lips. Banana is a key ingredient in the deep-cleansing mask recipe below. As mentioned above, nothing will permanently reduce the appearance of enlarged pores. However, you can diminish their appearance by giving your pores a deep cleanse, drawing out the "plug" of sebum, debris, and bacteria that cause inflammation. 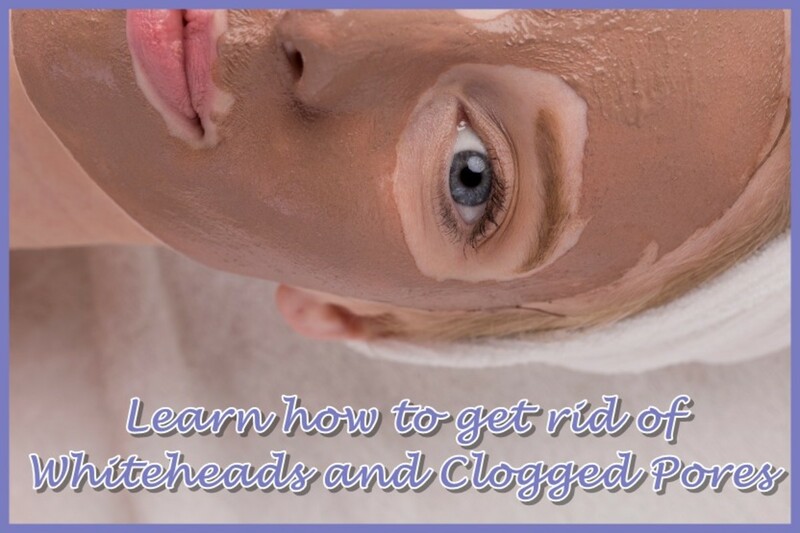 A deep cleanse will remove blackheads and help to reduce oiliness. 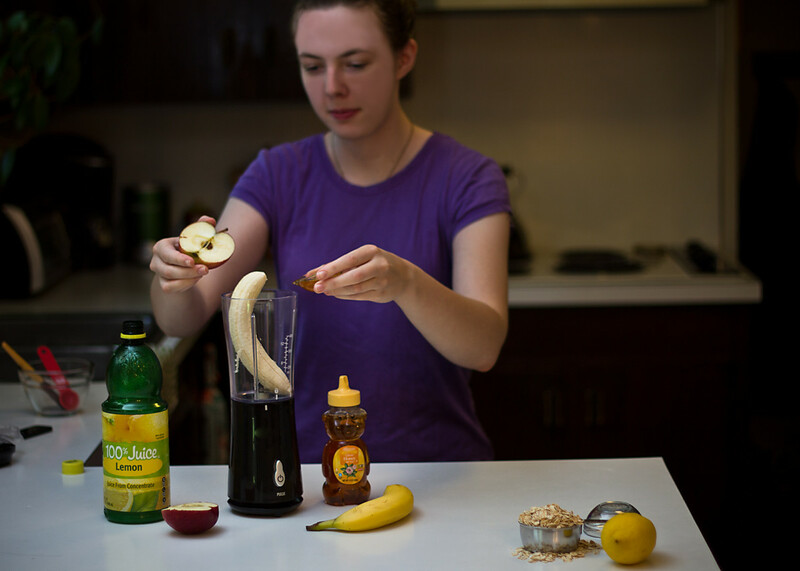 Combine banana, apple, lemon juice, and honey in a blender. Transfer to a small bowl and add a little cooked oatmeal. Cover and leave in a cool place to set. This mask is really good to deep-clean pores and give your skin a lift. You will need a blender for this mask but it is very quick to make. Into your blender place a peeled, ripe banana, half a ripe apple, a teaspoon of lemon juice, and four teaspoons of honey. When everything is blended, transfer to a small bowl. Add a little oatmeal that you have previously cooked and allowed to cool. Make your mixture thick enough to spread on your face. Cover and leave in a cool place to set. After cleaning your face, apply a hot wash cloth for a few minutes. Pat dry and spread the mask with your fingertips. Gently massage into skin and leave in place for 20-30 minutes. Cleanse your face. Finish by soaking a face cloth in hot water and spreading over your face for a few minutes. Make sure the water is not too hot. The warmth will open your pores and make the mask more effective. Pat your face dry and apply the mask with your fingertips. The mixture will harden a little as it dries. Gently massage your skin during the drying process to exfoliate dead skin cells and give your skin a glow. Leave mask in place for twenty to thirty minutes. Rinse mask with tepid water and pat face dry. 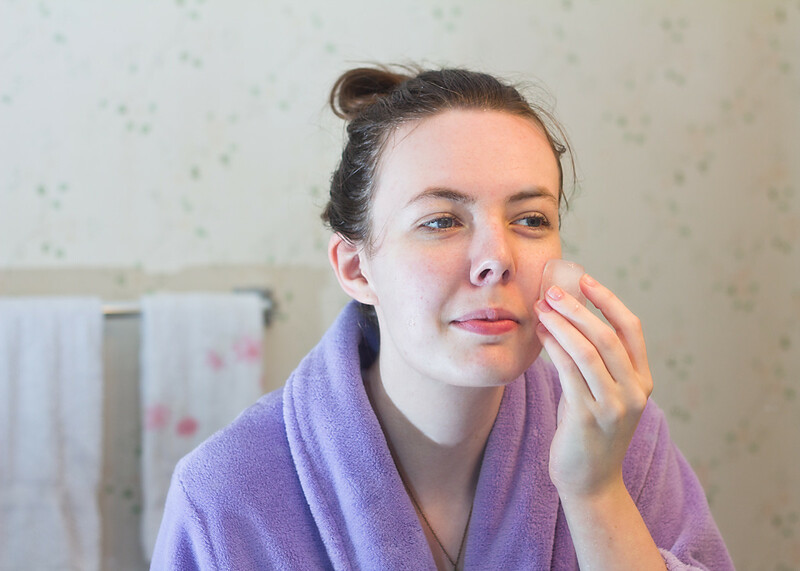 Use a toner, chilled water, or an ice cube to close your pores. Rinse away all traces of the mask with tepid water and pat dry. You can then use a toner, chilled water, or an ice cube on your face to help close the pores even more. How Often to Use a Mask? Do not use a mask every day. If your skin is oily, you can use one twice a week. 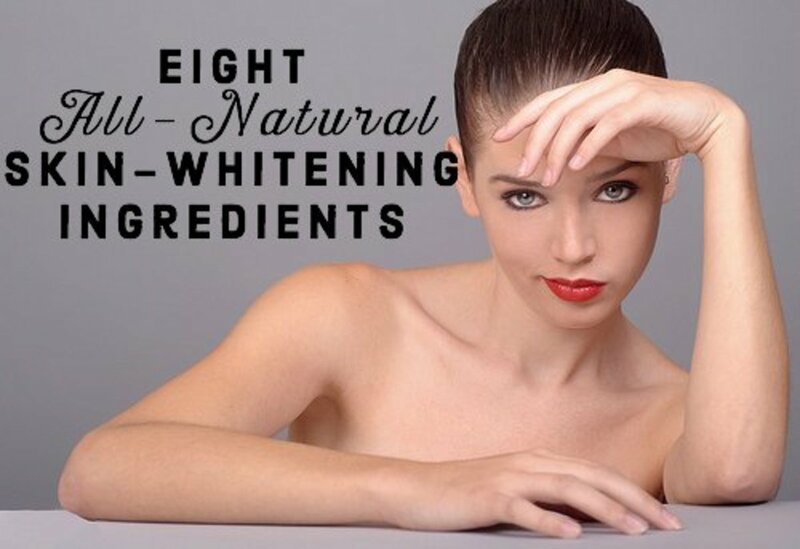 For most skin types, however, a weekly treat is enough for their skin. Use straight from the fridge. Cold toner is more effective at tightening pores. Use cotton balls to apply liquid toner and only use once to avoid bacterial contamination. Tone up your complexion and improve blood circulation by patting your face and neck after applying toner. A good toner restores the pH (acid/base relationship) of your skin, which will help tighten pores and prevent oil-buildup. Whether you use a toner after each daily cleanse, removing makeup, or apply a facial mask, an application of cold toner will complete your cleansing process. Try the recipe in this video for a gentle exfoliating mask. It is easy to prepare if you have a blender or coffee grinder. Just whizz up the uncooked rice grains into a powder that has a gentle, exfoliating effect. This mask is helpful to reduce scarring from acne blemishes. Follow the diagram at the end of the video for a demonstration of how to massage the mask whilst it is drying on your skin. Enjoy! Have you noticed benefits in the appearance of your skin, particularly the size of your pores from using a Toner product? Hi Kelly, thank you for your kind comment. I'm afraid I do not have a natural home-made toner recipe.However, if you use the search bar on this site and use the search phrase 'homemade toner recipe' you will find several helpful articles. Hope this helps and glad you found the baking soda treatment helpful for your skin. Thank you for all the wonderful information. My mother used to recommend banana masks when I was an adolescent. I have also heard that crushed asprin is a good exfoliate, I just tried the baking soda and it is wonderful! Noticeable difference on the first use! Quick question though; is there a remedy for natural, home-made toner? Thanks again! Thanks Aja, I am learning that banana is brilliant for lots of things - and tastes good as well! Hope you find this natural remedy for enlarged pores beneficial for your sensitive skin, it would be great to hear how you get on. I love the banana mask idea! I have sensitive skin and will be using this natural recipe! hey thanks for this great tip! my combination skin reacts better with home remedies like this. I cannot wait to try this one out! Hi Laura, thanks for your comment and the tip about grinding oatmeal in a coffee grinder - great idea! I love the options for removing blackheads. I have combo "t-zone" so my blackheads are on nose and chin. 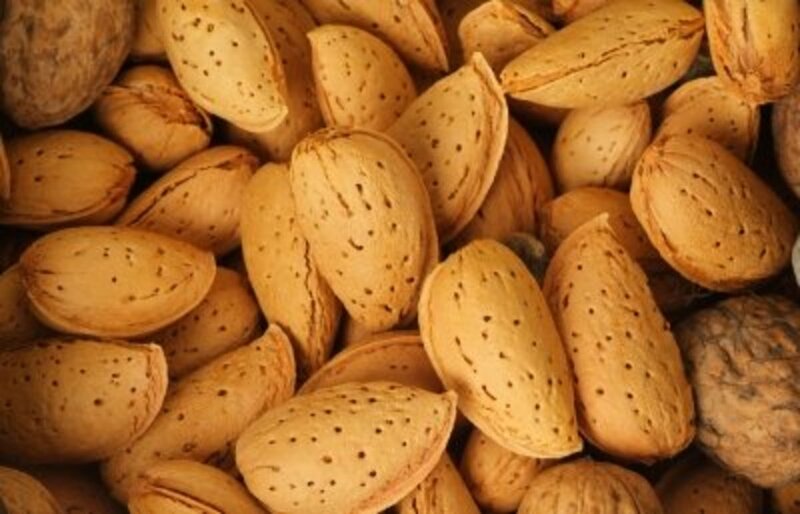 I will definitely give these recipes a try but instead of cooking the oatmeal, I usually fine grind the oatmeal dry using a small coffee bean grinder and use the oatmeal dry. I find that works really well with honey and lemon. Thanks again for the great tips. sma, thanks for your comment, the best thing I know for dull skin is to regularly exfoliate. I do this twice a week but have been told that for best results at my age, I should do it every other day! The only problem I have is getting older and have dull, and sometimes sagging skin, I use an egg white mask !x a week which works great, these tips sound good, going to try. Thank You.. Thanks Jenna, I appreciate your comment and the vote up! Lots of interesting information here! I hadn't heard of using banana before, I'm excited to try it. Vote up! Thanks L.L., you are right about the natural antibacterial and healing properties of honey - we have even used it on our horses in the past and found it effective at healing cuts on their legs very fast, without antibiotics. 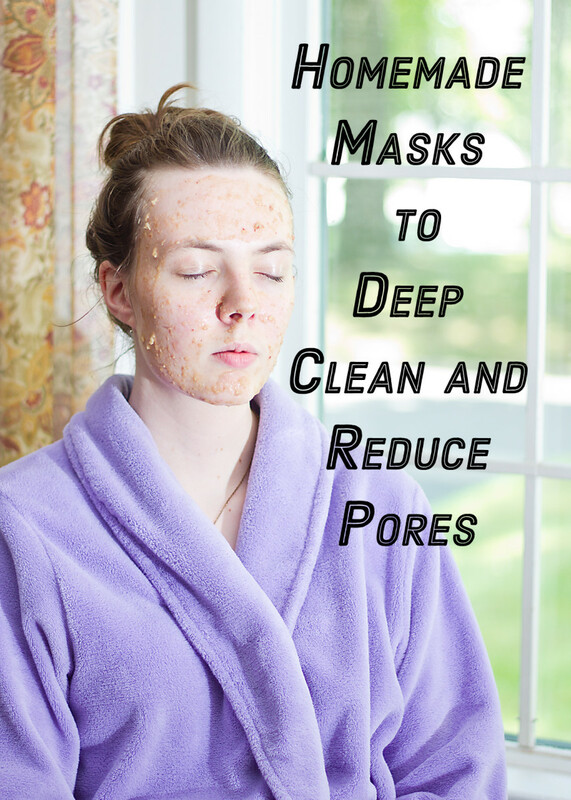 Lots of useful information here on how to make a homemade pore mask. I like the idea of adding honey to the egg white mask. 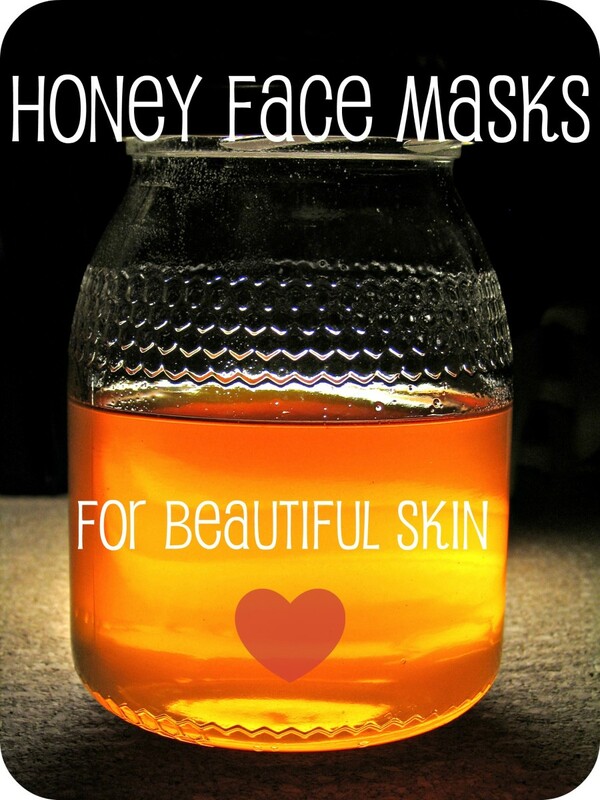 Honey has natural antibacterial properties and is something I've used all by itself as a facial mask at times. 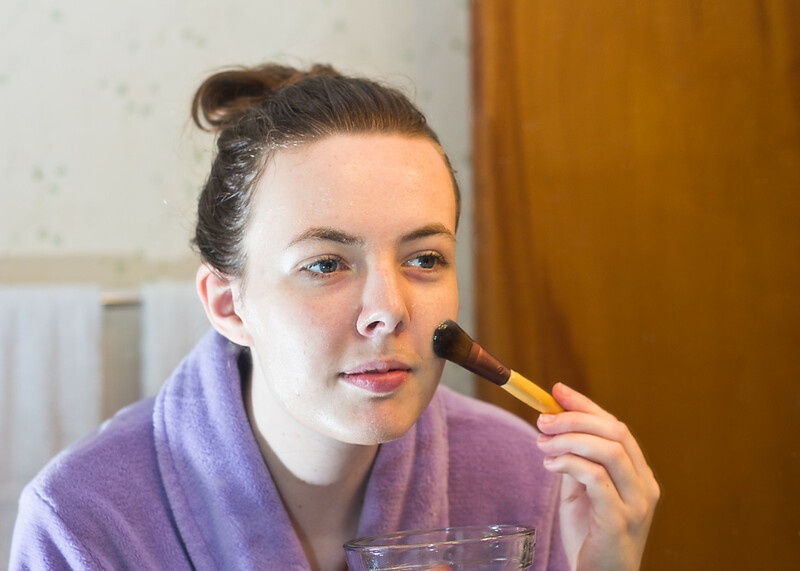 Thanks for commenting Dreamhowl - more and more people are suffering with adult acne - and as most of us are trying to save money right now, homemade remedies that are both inexpensive and safe like these pore mask recipes, have got to be worth a try! This is all really interesting! I didn't know there was such a simple home recipe for an exfoliating mask. My skin was prone to acne when I was a teen, and I still get the rare breakout if I'm not careful. Maybe exfoliating every so often would calm things down. Voted up!